Sea of Thieves is like a road trip. Sometimes, it’s this magical thing. A grab-bag full of tropical shenanigans where you can dive in for hours and resurface with stories you'll be itching to tell. Other times, it ends up deteriorating into long-stretches of boredom. You're either going to have a tedious time or a terrific one. Either way, Sea of Thieves is the kind of thing where your mileage is unerringly going to come down to the kind of people you play it with. This makes it kinda tricky to review. Developed by the industry veterans at Rare (most well-known for N64-era classics like Banjo-Kazooie and Goldeneye 007), the game is a first-person multiplayer sandbox game where you (and your friends) create your own personal pirate avatars, board a ship and sail the seas in search of treasure and all the rest of it. Regardless of how that might sound, it’s clear from the moment you load it up that Sea of Thieves isn’t just any generic vision of what pirates life should be. It’s very different from, say, Assassins Creed: Black Flag. Rare’s take on the material is a very specific - cartoonish, overwhelming-lighthearted and sometimes-comical - take on the subject matter. If it reminds me of anything else in gaming, it’s probably the Monkey Island series. Fans of both it and Rare’s usual penchant for crafting worlds filled with personality and color will appreciate the tone but probably still come away wanting. Sea of Thieves doesn’t really have many characters in it. In fact, I’d hazard to even say it has a story in it. After creating your character - out of a fresh batch of randomly-generated appearances - you’re dropped onto an island outpost and encouraged to sign up with one of the game’s three factions. The Gold Hoarders want you to track down and retrieve buried treasure. The Order of Skulls want you to do slay crews of skeletons haunting nearby islands. Finally, the Merchant Alliance want you to collect and deliver livestock (usually either chickens or pigs) between their various outposts. That’s the basic setup anyway. For the most part, it’s really in your hands as for what you want to spend your time doing. The broader loop here consists of doing one mission after another, then returning to an outpost, handing in those quests, getting paid and spending that money on new weapons, armor and upgrades for your boat. The more quests you complete with each faction, the better the rewards and the more involved the quests become - but neither of these developments do much to stall the pace at which it all becomes a bit repetitive. Still, regardless of which faction you choose to buddy up with, the game’s main mechanics really do come down to the core experience of sailing. It’s here that the Sea of Thieves’ strongest and weakest aspects tend to manifest. 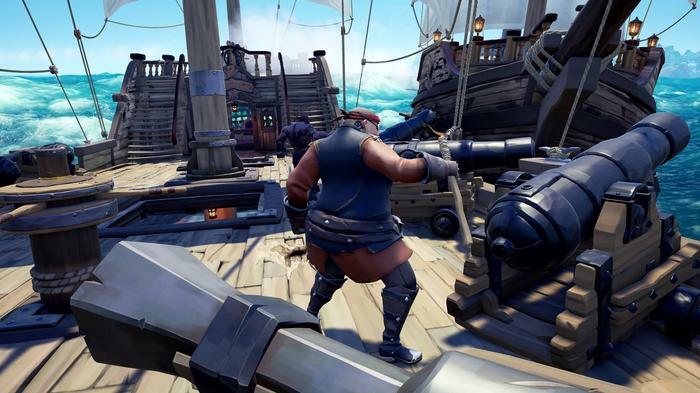 At its best, sailing a boat in Sea of Thieves feels like a mix of a team-based social game like Space Team and satirical sim-games like Surgeon Simulator. One player is tasked with steering the ship, the rest have to stay on their feet and follow instructions. Sometimes, all this involves is helping the captain navigate using the maps in his cabin. However, if the weather is bad, they might need to work together to raise, lower and modify the direction of the sail. Should your crew come across a hostile vessel (populated by other players), they’ll be tasked with aiming and firing the cannons. Finally, should your ship take a few hits (from either hostile cannon-fire or running into a more-stationary obstacle), your ship will start to spring leaks. If that happens, you’ll have to work together to pail water and plug said leaks before your vessel sinks. When everything works as intended, these systems can often create really fun situations where there’s just enough happening to keep everyone on their toes. Unfortunately, those situations don’t emerge with a satisfying amount of frequency. Often, it feels like you’re almost-inviting shenanigans just to pass the time, as the distances between your destinations can often be quite far and the journeys quite long. 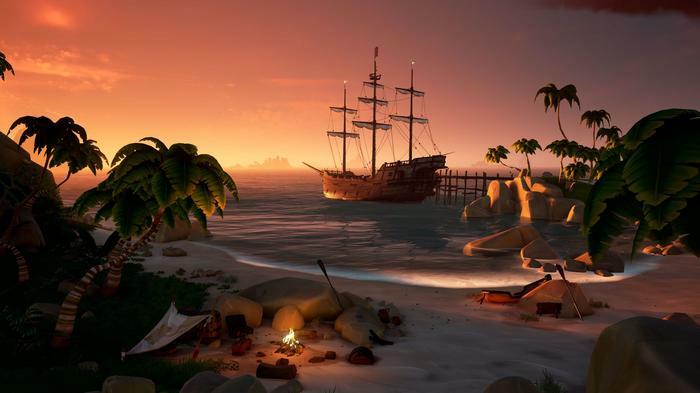 Much like real sailing, Sea of Thieves can often feel dragged down by long-stretches of boredom, silence and the mundane. Eventually, the truth sinks in. The game’s lavishly-rendered seascapes are only ever truly punctuated by similar-looking island outposts populated by a set of identical-looking NPCs. The experience isn't so much a sandbox as it is a treadmill. Despite these shortcomings, Sea of Thieves gives players an admirable amount of of freedom. 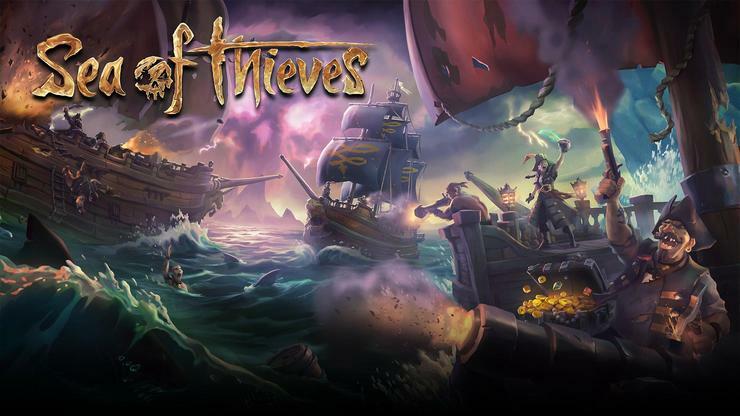 Despite being billed as a major AAA release a major tent-pole release for the Xbox One X, Sea of Thieves often feels more like an indie game in early access. Personally, the experience of playing this game and discovering what made it tick reminded me a lot of early Minecraft. And like alpha-era Minecraft, the problem with Sea of Thieves isn’t the look. It’s what’s behind it. 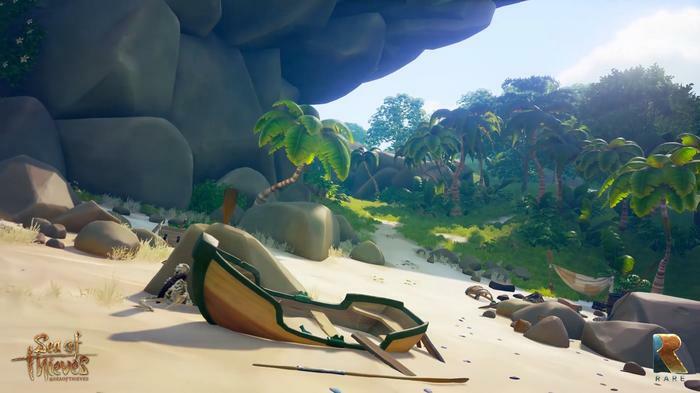 Rare have crafted an enthusiastic world that’s really immediately engaging, but it’s ultimately a shallow world where you’re largely left to make your own fun. And once you’ve done two or three “kill the skeletons” or “follow the treasure map and dig up the chest” mission, you’ve kind-of done them all. What’s more, accruing the large sums of currency required to customize your ship and character quickly becomes a grind before you’ve even really had the chance to actually buy anything. After paying through my first five or six missions, I was underwhelmed to learn that the best I could afford was a new belt and that anything more exciting than that would cost me hours-upon-hours of my time and thousands-upon-thousands of doubloons. What’s more, it feels like almost all of these upgrades are exclusively-cosmetic - which significantly undercuts the appeal of sinking the time in that pursuing them requires. Everything seems way too expensive and too superficial to be worth the time. Obviously, the idea here is that the the journey in Sea of Thieves is meant to outweigh the destination but - all things considered - neither half of that equation is compelling enough to make me want to come back to this game beyond the hours I’ve put into it for this review. As much fun as it (sometimes) can be, the initial excitement Sea of Thieves quickly becomes mired in the mundane and mediocre. A wider expanse of possibilities are quickly curtailed into just a handful - and even those moments where everything works are anchored by one key caveat. When it does feel fun, it feels so directly because of the people you’re with rather than necessarily because Rare has made actually crafted a game that is all that fun. 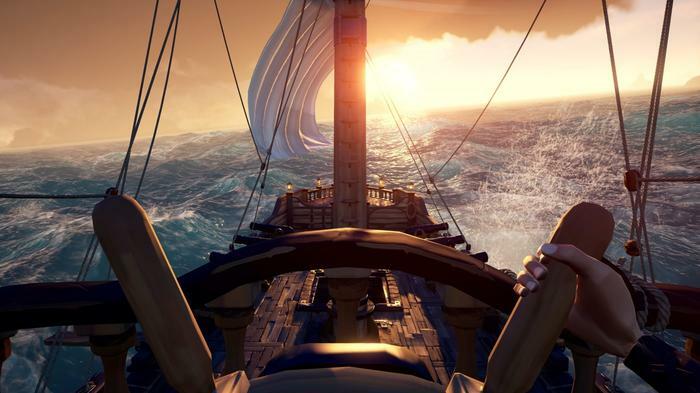 Though this is often the case with multiplayer-focused experiences, Sea of Thieves is the kind of game that really, really, really does depend and rely on you having a group of friends who are all down to play it often, play it regularly and play it long enough to actually bring those rewards into reach. As a multiplayer experience, Sea of Thieves has something to offer. It’s filled with interesting systems that can sometimes create emergent stories, situations, conflicts and - when the stars align - a tangible and unpredictable sort-of fun. It’s also got a lot of character to it. The look, the sound, the tone and the feel of Sea of Thieves is exactly where it needs to be. From the moment you step on board you first ship, learn to chart your first journey, encounter your first storm and or fall off your ship, you’re left with the distinct impression that every detail in the experience has been delightfully conceived, executed and refined to the most granular of degrees. Unfortunately, as a game, it's ultimately difficult to recommend. Especially if you are more partial to solo-affairs and particularly at the current full-retail asking price.The broader-structure of Sea of Thieves is so hands-off and downright-stingy about rewarding you for the time you put into it that it’s hard to really muster the desire to keep coming back to it. 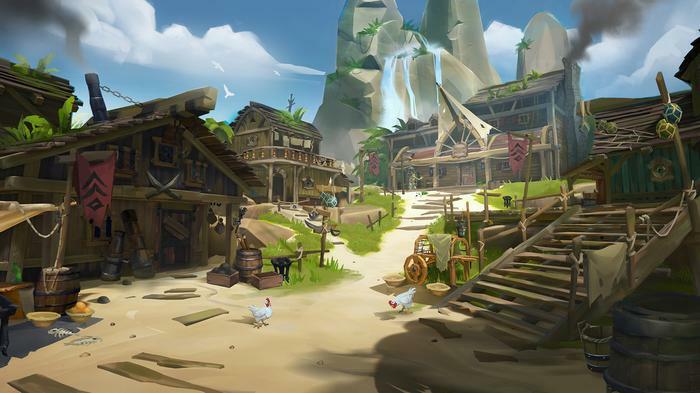 It feels like Rare knew where they wanted players to start with but didn't really know where they wanted to be taken beyond a basic 'pirate simulator'. Like a road-trip, Sea of Thieves often comes down to the people you have with you. Sometimes you’re left with memories. Sometimes you’re left bored. Often-times, this particular destination isn’t worth the journey.